When you think of holiday's there are one pair of shoes that jump to the forefront of your mind. The traditional and very conventional flip flop. Over the years they have been there for us at the first sign of warm weather, and spared our feet the pain of being locked away in a pair of shoes that hide your feet away from the light of day. Of course the conventional flip flop has it's down falls, sure they are great for the beach, and lounging by the pool. They even make a great choice for a short walk down the promenade, but the down falls are especially noticeable the moment that you decide to get a little adventurous. The moment you decide to venture off the beaten track..
That's where UNEEK from KEEN come into play. An entirely new, fresh footwear concept that I am pretty certain you won't have come across before. They look like no other model on the market, and while they leave your feet open to the elements, making them the ideal travel companion, they are also so much more versatile than the traditional flip flop. UNEEK are the brand new sandal that have been constructed using the innovative two chord design. They mold to your feet to ensure the perfect fit using the two intertwining cords and an additional free moving cord design that allows the upper part of the shoe adapt to the unique shape of your foot. This rather impressive design means that they can provide security and structure to your feet, and makes them a great footwear choice if you do decide to get a little bit more adventurous while you are away on your travels. There is no need to take a secondary pair of shoes with you, because if you want to venture off on the rocks for a closer look at the rock pools below, your all ready kitted out and ready to go with the lightweight PU midsole that provides durability and comfort, and the high traction rubber outsole promotes secure footing. Now they may look a little different to shoes that you may ordinarily choose for yourself, and in all honesty they were outside my usual comfort zone. Having now worn these shoes and put them through there paces, I am really pleased with just how comfortable and practical they are. When I say they are comfortable to wear, I actually mean that they may be the most comfortable pair of shoes that I own. As I type this I am sat at my desk with my UNEEK's embracing my feet. They don't rub, they just co-exist around my feet. The soles soft and supporting and your toes are enclosed within the strings, My biggest concern was that my toes may get caught in the strings, but there is no chance of that happening. Other peoples reactions to them have been an interesting mix, some people have loved them, others haven't seen the appeal. For me now, my UNEEK's definitely have a place in my footwear collection, when flip flops just won't do, the UNEEK's will save the day. There are a number of different and exciting colour varieties available for both men and women, retailing at £89.99. 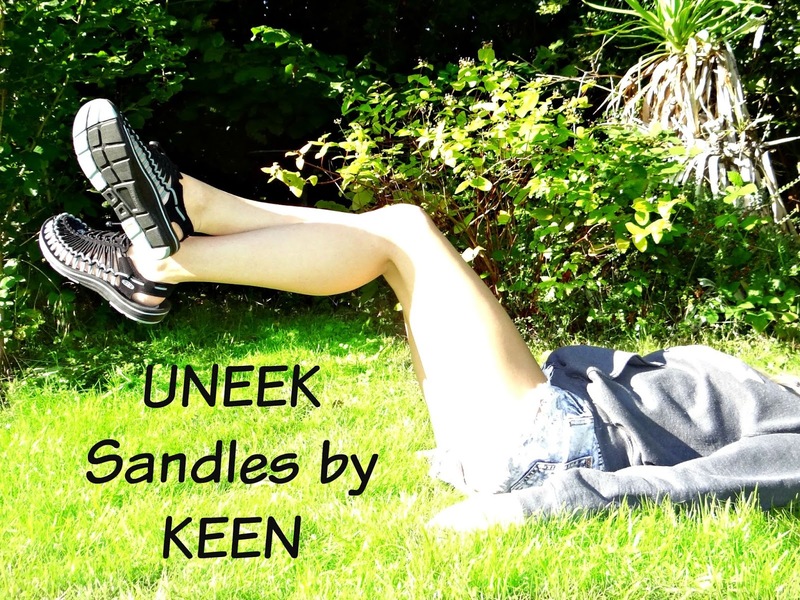 Disclaimer: I was provided with a pair of UNEEK Sandles for the purpose of this post and my honest opinion. All views and opinions expressed are completely those of Life Unexpected.